I have a lot of books in my house. Usually, I remember a book when I see it on my shelves; or I remember that I have the book, and can track it down and find it. 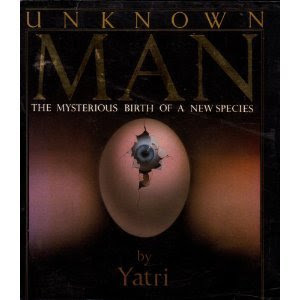 I got surprised to find a copy of Unknown Man, by Yatri, among my books. I had never read it, and I don't know where it came from. I have read it now. The thesis of Unknown Man, published in 1988, is that we are witnessing (or will soon witness) the birth of a whole "new species" of humans. The book suggests that we should become clear about this on or shortly after the year 2000. Those who are somewhat quizzical about the significance of the year 2012 in the Mayan Calendar could appropriately link this thesis with that year. At any rate, Unknown Man reflects upon what I completely agree is a coming crisis for the human species. Our utter dependence upon the world of Nature has been ignored, and the civilizations that we have constructed (our "human" world) are in danger of imminent collapse. Enter evolution. At least, this is what Unknown Man posits. In the words of the author, "to call a human a being is misleading; he is more a human becoming." The book catalogs many hopeful examples of how we might, as a species, rise to the occasion, and change the destructive patterns that will surely doom us. Unknown Man is a book worth reading (and very pretty), and I recommend it. 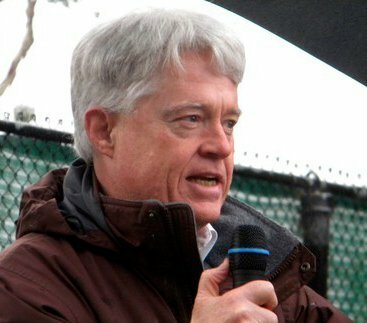 One thing, however, does bother me, and that is the suggestion that evolution is at work in and of itself, and that evolution will succeed in developing a "new species" that can overcome the challenges faced by, and caused by, the "old species," and do it in time. It's good to be hopeful, but I think we "old species" humans have to make the choice to turn around, and to do things differently. In other words, I don't think an evolutionary process, acting beyond our conscious choice, is going to save the world. We have put both of our worlds in peril (the Natural world upon which we ultimately depend, and the human world we have created, and which we most immediately inhabit). Strictly speaking "our" world is the "human" world. Populated by and created by the existing human species. In my view, we've got to save it. Waiting for some new species to evolve, and to save it for us, strikes me as just a tad too easy!